This Homemade Caramel Corn recipe is quick and easy to make. Children love it and it brings out the child in even the most stoic adult! Nothing says fall to me like Homemade Caramel Corn! What’s not to love about it? Ok, so you may not like the sugar and I agree. But, since the majority of our diet is “clean”, I fall back on the 80/20 rule and let it go! I love the song, “Let is Go…” from Frozen and in this case it is very applicable. If you find yourself worried about the holidays and all the sweets your family is exposed to – let it go! Just make sure that you are daily giving good-for-you foods and especially probiotics like kefir, yogurt, homemade sauerkraut…. 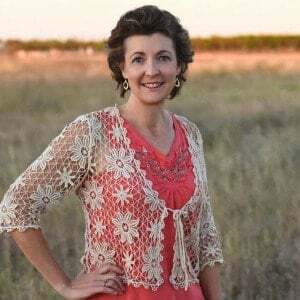 We are fearfully and wonderfully made and our bodies can handle a lot. Oh, don’t get me wrong, I try to make sure the family is getting the best possible nutrition but there are times and seasons that splurges are good. Just don’t stay in splurge mode! Remeber – 80/20! 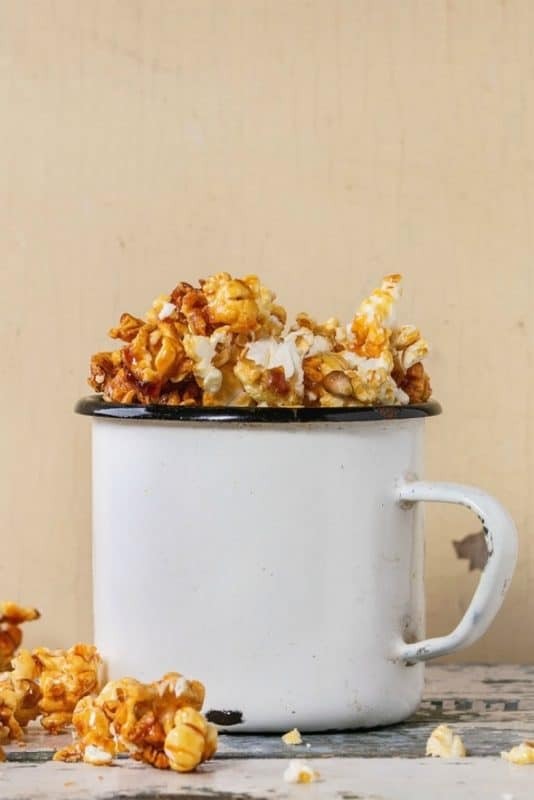 If you are pushed for time and need a quick snack, this Homemade Caramel Corn recipe is quick, easy and just the recipe you need. This recipe is so quick and easy, that I even use it during the vineyard pruning season (when my time in the kitchen is very limited) as a treat and pick-me-up. Homemade caramel corn is loved by children and adults alike. There is just something about the taste that brings a smile to everyone’s face! If you remember Cracker Jack’s you will definitely appreciate this recipe. With the peanuts added, it is a great homemade replacement without all the unnecessary ingredients! You will be surprised at just how easy making your own homemade caramel corn is – you can thank me later 😉 The hardest part is mixing the caramel and the popcorn. And, that is not really hard! When it comes to clean up, simply let the boiler that you mixed it all up in soak in water. The water dissolves the sugar and even clean-up is a breeze! Try adding festive spices such as cinnamon and cloves to the corn! 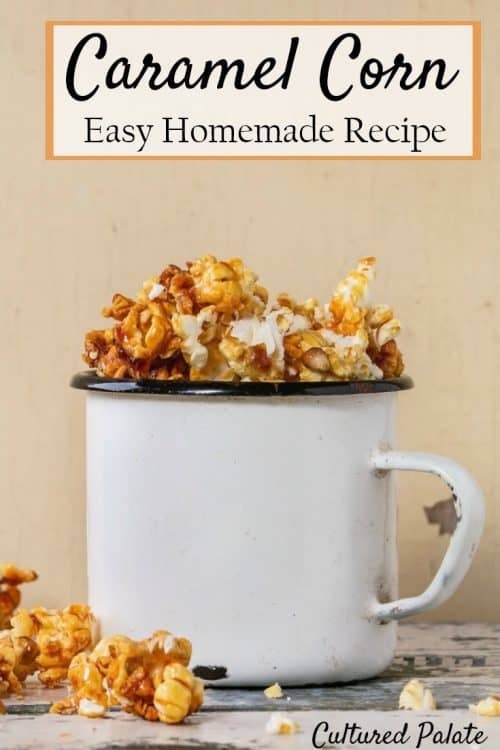 If you’ve tried this homemade caramel corn recipe or any other recipe on Cultured Palate please take a minute to rate the recipe and leave a comment letting me know how you liked it. I love hearing from you! You can also FOLLOW ME on PINTEREST, FACEBOOK, INSTAGRAM, YouTube and TWITTER. Homemade Caramel Corn - Quick and Easy! Mix in a boiler the brown sugar, light corn syrup, butter and salt. Bring to a boil and boil for 5 minutes. Remove from heat and add the vanilla and baking soda - mix well. Pour quickly over the popcorn and stir to coat evenly. Put in oven at 200 F for 1 hour. This is the perfect sweet treat, I enjoy this all year round!